Located near Yangcheng Lake in the city of Suzhou, Sangha Villa was developed by Octave and designed by Neri & Hu. The interior is simple, modern and airy. Sangha by Octave is a life learning and wellness community on the shores of beautiful Yangcheng Lake, Suzhou. Sangha seeks to re-establish the connection and unity between people and the inner self, others, and nature. One of the best and largest of wellness centers in China, it offers an eclectic selection of premium lifelong learning and wellness programs, ranging from wellness spa packages to fully-serviced hotels and lakeside villas, with custom medical evaluation and services, body training, early education and a gourmet restaurant as part of the experience. The interior space was designed by Shanghai-based design practice Neri & Hu. For New Zealand magazine HOME - Hidden in a large tree plantation in the suburbs of Hangzhou is a prefab prototype house that the wellington firm Bonnifait + Giesen designed in collaboration with Jimu, a Chinese design and manufacturing company. MiniHut feels grander than its 36 square metres, thanks to a high stud that contains living areas in the main volume and sleeping areas on a mezzanine. Additional modules, meanwhile, have been designed to serve as entrances, utility sheds and covered decks. And, with one side of the 3×8-metre structure filled with windows, the hut can take advantage of views and have a connection to the outdoors – benefits one might associate with something much grander than a small prefabricated timber building. The idea was presented at the Green Architecture and Construction Materials Expo 2017 in Shanghai, generating much interest. 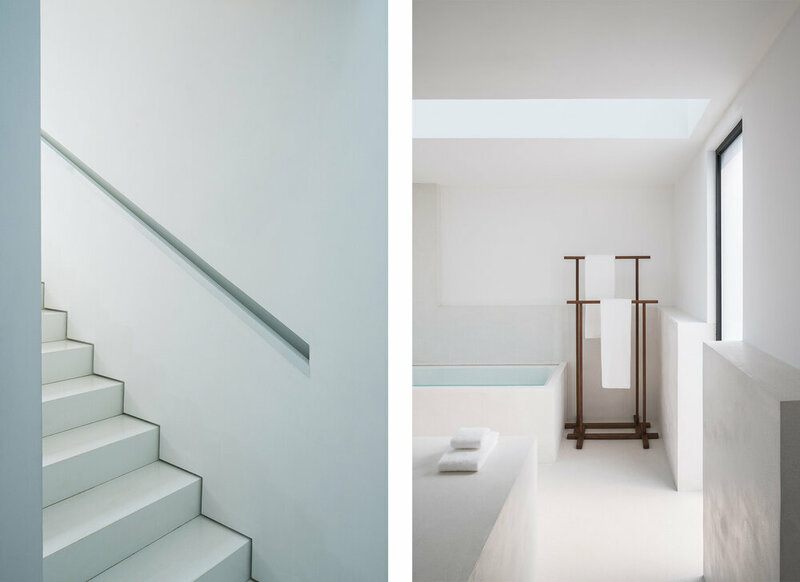 A 300m² private residence in a peaceful neighborhood in Shanghai's former French concession area. The apartment features a Tuscan design with a focus on high quality materials. Designed by Spanish designer Andres Luer from Savio Interior.